2013 has seen a resurgence in Reno’s luxury home market. Thus far, 54 homes have sold for $1,000,000 and above in 2013. Compare that number to the 26 that sold in all of 2012. With the Reno-Sparks real estate market’s current median sales price hovering around $215,000, the local market is not one that is described as a Million-dollar market. In fact, sales of $1M+ houses comprise a mere 1 percent of all 5,221 house sales this year. 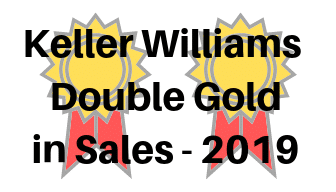 That being said, a doubling of the number of $1,000,000+ sales this year from last is noteworthy. And in case you’re wondering if the increase is because 2013 simply saw more home sales than in 2012…not true. Nearly 6,100 houses sold in 2012. Given the ten-year average of the proportion of million-dollar home sales, expect to see such sales continue to increase in 2014. This entry was posted in Agent Insights, Market Trends and tagged luxury homes, Reno. Bookmark the permalink.